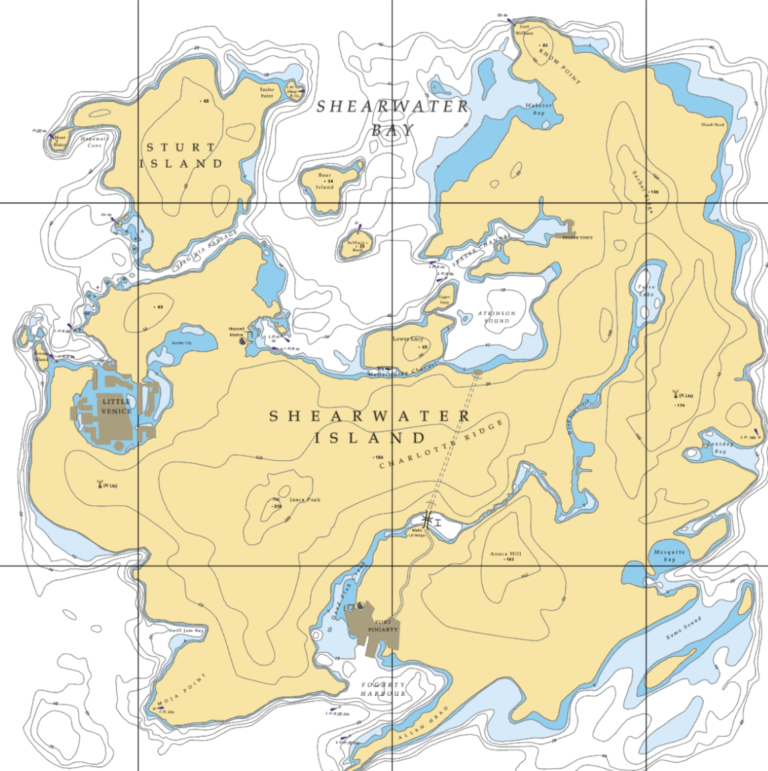 eSail brings to you the world of the Shearwater Islands located in the Mid Atlantic. The islands are formed by volcanic activity (the location is on the Mid Atlantic Ridge). In the late 20th Century, the British charted the main island and provided buoyage and lights. NOTE: the channel markers follow the British system with red to the port and green to the starboard as you enter the channel or harbour heading towards the land. Being strategically located, the islands have changed hands many times. The Spanish, British, Americans and Italians have all left their mark – the latter building the folly known as Little Venice. This town has many buildings virtually identical to those found in the real Venice. The builders have thoughtfully created canals large enough to sail along with few bridges, so you can motor, sail and even race along the watery streets!